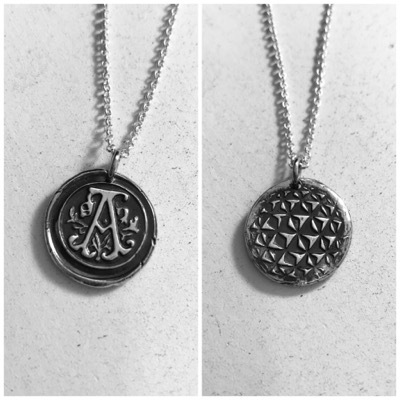 I just love the vintage feel of these pendants that reminds me of the vintage envelope seals of times in history. The pendant measures approximately 3/4" and is made of 99.9% pure silver. Please contact me if you wish to add or make changes to your order and I'll be happy to create a listing for you. All letters of the alphabet are available in this font. Watch for future listings for another font for this style of pendant as well.